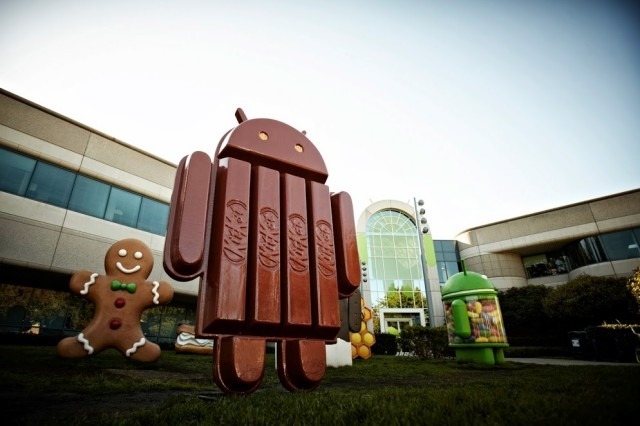 Okay, so, Google has announced that the next version of Android, 4.4, will not be Android Key Lime Pie, but rather—wait for it—Android Kit Kat. When I first heard the news, I was thinking that Google must be playing a bit of a joke on us all, but at this point it seems legit. My thoughts are that it’s a bizarre twist. Google hasn’t ever done this kind of product tie-in, as far as I can remember. It’s also a great way to make Android immediately recognizable to the average person. 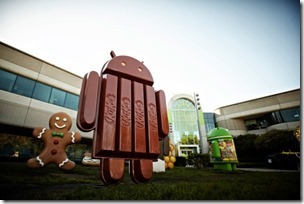 Certainly, Android Kit Kat is going to get their attention more quickly than would Android Key Lime Pie. My biggest question is, who’s paying whom? Is Hershey’s paying Google to advertise their brand, or is Google paying Hershey’s to license the name? Or is it a joint venture (which it does appear to be), and they’re both winning. I’d guess the latter. Update: Yes, I was right. It’s a mutual deal. Overall, I’d say it’s a bit of a tricky game to play. What’s Google going to do for the next version? If it’s a one-time thing, it comes across as a bit crass to the Android enthusiast in me. If it’s going to be the norm from now on, then that too will take some getting used to. Android becomes far more commercial than it’s been, and while that’s not a bad thing—after all, the point is to get as many Android devices out there as possible—it’s certain very different. It’ll take some getting used to. A tiny part of me still think’s it’s a joke. But that part is getting smaller by the minute. What do you think? Let me know in the comments. P.S. Hershey’s calls it “Kit Kat.” It seems like Google is going with KitKat (at least in the brand name, like in the image above). In terms of the trademark, that seems like a problem, and it’ll probably get fixed. I’m going to update this post with Hershey’s version, because I’m sure the trademark will win out.